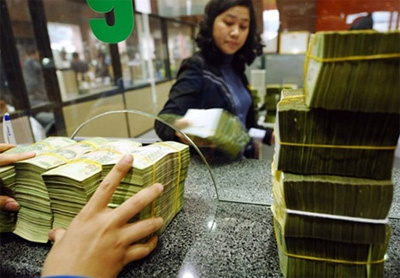 The State Bank of Viet Nam (SBV) has called on lenders to carry out proper monetary policies and assure secure and efficient operations this year. The SBV Governor Nguyen Van Binh said in Directive No 01/CT-NHNN issued earlier this week that these were needed to support national goals of controlling inflation, stabilising the macro-economy and boosting economic growth in 2016. The SBV will run the banking system, which includes domestic credit institutions and foreign bank branches, with active and flexible monetary policies in tight conjunction with fiscal and other macro-economic policies. The central bank targets growth rates of 16 per cent to 18 per cent for total money supplies, and 18 per cent of 20 per cent for overall outstanding loans in the system. The figures may be adjusted based on the practical situation. It urged lenders to continue to create advantageous conditions for enterprises, co-operatives and households to access loans, helping them enhance efficiency in their production and business activities. The SBV will continue to speed up the restructuring of credit institutions and drastically handle weak lenders, in a bid to improve lending quality and maintain the bad debt ratio at less than three per cent of the overall outstanding loans. Governor Binh's directive is in line with the government's resolution on socio-economic development plans in 2016, following which this year's inflation will reach less than five per cent and gross domestic product growth will be around 6.7 per cent./.